1.1. The Admins are always right. 1.2. Any provocative activities aimed at suppressing the development of the resource - is prohibited. 1.3.Server rules can be added / changed / deleted at any time. 1.4. Not knowing the rules does not exclude you from punishment. 1.5. Providing false "evidence" is punishable. 1.6. In case of violation of any rules, one player from the group will incur punishment for the entire group. Follow the legitimacy of your comrades actions! 2.0 Use of other steam accounts to circumvent the ban - ban all accounts. 2.2. Insults or obscenities against any other players. 2.3. The use of any cheats/bugs/dupes/scripts/shortcomings of the game, giving an advantage over other players. Prohibited attacks through impassable objects (walls, fences, not to sweep from the bow windows, etc.). Exception : shooting from the walls of the towers. 2.4. 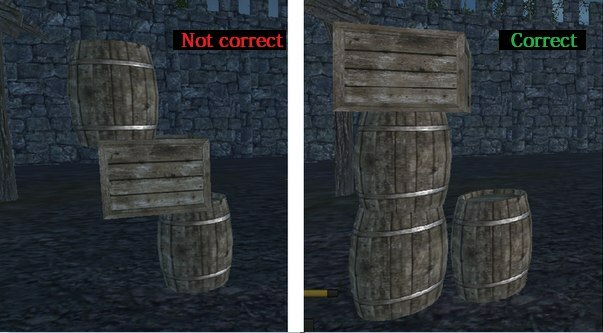 Using objects that have the ability to change the height (wardrobes, wooden crates, racks for bottles, platforms, etc.) To overcome obstacles (fences, houses, etc. ), Established not by the laws of physics (eg, wooden boxes, installed one by one, with a gap or boxes on the ground slope without platform under them). Be sure to do a screen of "construction" with which you overcome the obstacle. Prohibited "construction" disassembly by attackers after they use it. To overcome the walls from architectural section use only wardrobes, wooden crates, racks for bottles, platforms. To overcome the walls from masonry section use only wooden crates, racks for bottles, platform. To overcome the walls from construction section use only wooden boxes, platforms. 2.5. Relogin or stack if it was used to overcome obstacles, as well as pre-out of the game in another settlement aimed at the sudden appearance within it (except client crash and an immediate login back). 2.6. Killing players signed [Newbie], if they do not conduct aggressive actions (causing damage to the attacker, a physical barrier passage somewhere using his character, limiting the attacker's actions ) and they are on their knees with their hands up ( skill "surrender" button 6 ). 2.7. Damage to the property of another player on the territory of his settlement : tree-cutting, stripping of moving objects, the construction of their static structures. "The territory of the settlement" - enclosed buildings or territory with buildings claimed to the player. Aliens objects that stand in the street, except for carts, may be used exclusively for the escape from the territory of another settlement in the absence of other ways to escape. Move other objects, standing inside buildings, as well as carts inside and outside of buildings - forbidden in any circumstances. Hide objects used for escape in textures or anywhere else - it is forbidden. Complaints relating to exceed of the required number of objects to escape, are reviewed by the administration. 2.8. Systematic log out of the game in the enemy territory. 2.9. Murder at the spawn after death ( spawn on the beach, on the homes of the owner, on condition that the owner : has no loot / does not conduct aggressive actions / provocation / uses skills / remains in the spawn cell / not trying to loot something). 2.12. Any attack, intelligence and etc on enemy settlement without full armor set is prohibited. Exception - the defense of its territory. In defense, it is possible to go beyond the settlement area. Pursue of attackers to their territory, if you have no armor - is prohibited. The rule does not apply to the activity in the neutral zone. 2.13. Any attack, intelligence and etc on enemy settlement , characters who have less skill points in 1400 to combat the page or craft skills. 2.14. Moveout movable objects through the open windows of buildings. You can loot them but cant move this objects. 2.15. Block / fence clay spawns. 2.16. Violation of obligations to the leader of the guild, with the written agreement in the chat. Exception - coordination with the owners of the settlement (we recommend a screen - verified chat, to avoid confusion ). 3.0. Other situations are not described in the paragraphs above, by the decision of the administration. Since it is impossible to foresee all situations. - Violation of the rules of paragraphs 1.2, 2.1, 2.2, 3.0. - Violation of the rules of paragraph 2.6, 2.8, 2.9, 2.11, 3.0. Repeated violation of the rules ban for 2 days. Unban after application to the forum in the "Request to GM" forum thread. lack of full map wipe, skills wipe, etc. mini-wipe system based on the statistics of an active player (moving on territory in one week). 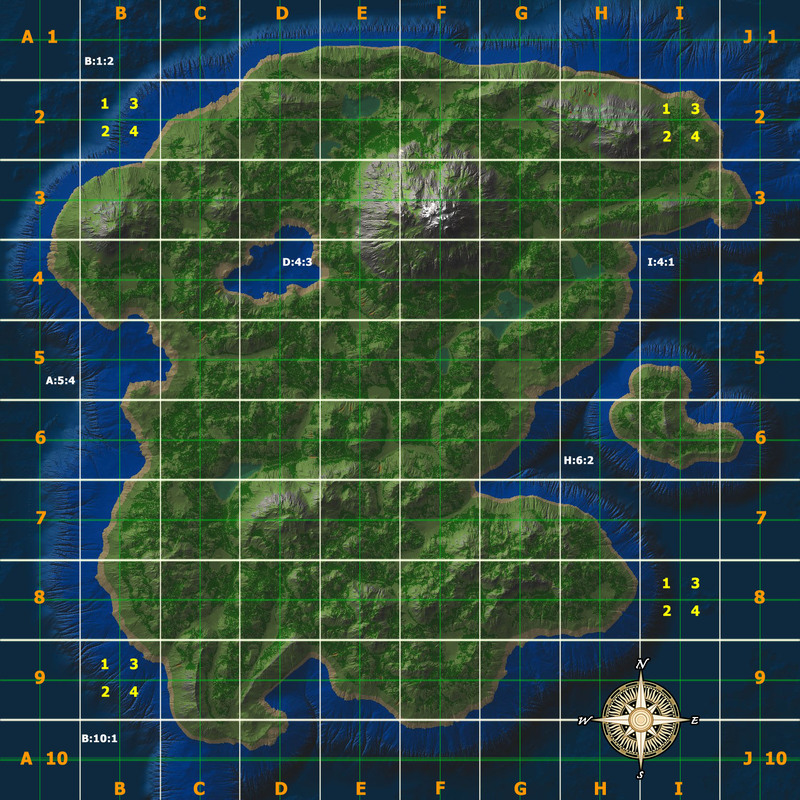 Territory will be reserverd if player(s) moved on this territory in 30 minutes or more. Mini-wipe runs every wednesday at scheduled server restart. Added ability to create the bog surface in the strategic objectives for the defense of the fort. Movement speed of the player in the swamp is reduced by 50%. The exact recipe creation will not be disclosed, but it will POSSIBLE depend on the time elapsed since the last change of cell, weather and composition of soil layers in the cell. Good luck in the experiments with the landscape. Added ability to claim these buildings. Capacity of this buildings 20 and 30 players respectively.